Since the introduction of the Autodesk® Product Design Suites in 2012, Autodesk has been adding tools to provide a more complete end-to-end solution for manufacturers. 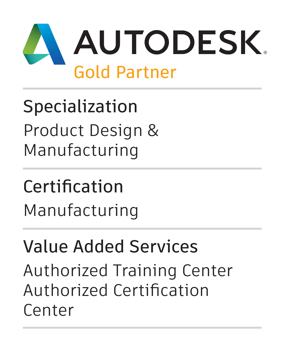 This effort has extended to the Autodesk® Product Design and Manufacturing Collection which has seen the addition of Autodesk® Inventor HSM™ (2D to 5D) CNC software, a set of tolerance analysis tools, Autodesk® Nastran® In-CAD software for simulation, and now a nesting utility in the 2019 release. The Autodesk® Nesting Utility inside Autodesk® Inventor® software allows you to quickly nest sheet metal parts for optimum material utilization and connects to downstream machine tools you may already have in your shop (e.g. plasma and laser cutters). If you have a machine tool that only requires a dxf file, that output is available as well. If you create sheet metal parts and have wanted to optimize material utilization and haven’t started because the available add-on products were too expensive or complicated, this might be a tool for you without any additional expense if you have the Product Design & Manufacturing Collection. To learn more about how this utility works and to see if using it would be right for you, watch Steve's recording below! Have a topic you'd like to see us do for a webinar? Let us know here!